Blackhorse Lane Ateliers is a relatively new London based company specializing in denim and focuses on sustainability, community, and unmatched quality. They opened their doors not too long ago in April 2016 and have manufactured a ready-to-wear line of organic & selvedge denim. Their founder Bilgehan “Han” Ates has more than 25 years of experience in the textile industry. As far as I know, Blackhorse Lane is London’s only jean crafter! When was the last time you heard of jeans that were made in London?! 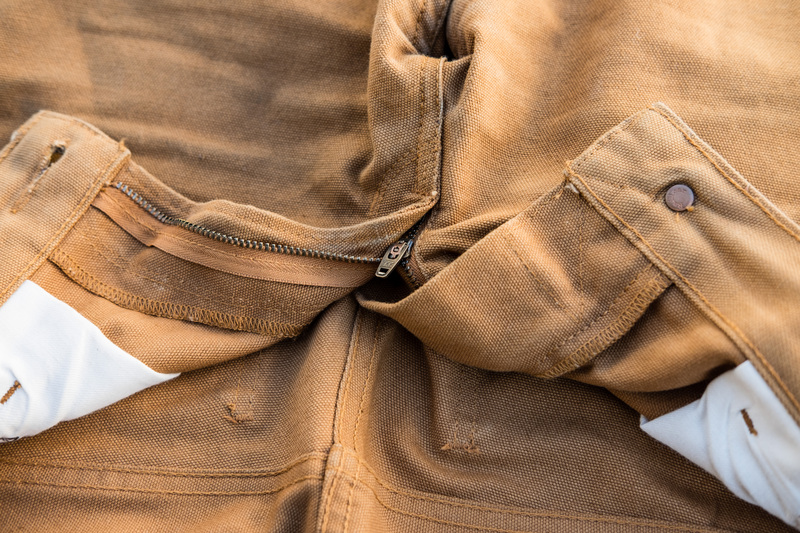 This is a review about the Railcar Fine Goods Flight Trousers in camel. The previous occasion that I owned a pair of tan duck canvas trousers was in 2012. The first pair of raw denim I purchased was a Naked & Famous Elephants in a Weird Guy Fit. I nailed the fit even though I purchased it online. A few months later, I purchased a secondhand N&F Duck Canvas Selvedge also in a WG fit from the Styleforum market. Duck canvas fabric has its roots in workwear history with the fabric being a plain weave cotton fabric instead of the twill weave most prominent in denim jeans. While both are made of cotton, the plain weave creates a very durable fabric with a smooth surface. Duck canvas is used today in many garments ranging from sneakers to hammocks. The weight of the fabric varies significantly depending upon its intended use. Duck canvas is commonly dyed in dull colors such as tan, olive, or simply unbleached. I sold my pair N&F Duck Canvas Pants a few months later because I outgrew them. For a couple years after as I was developing my style, I held off on purchasing another pair of duck canvas pants until quite recently. 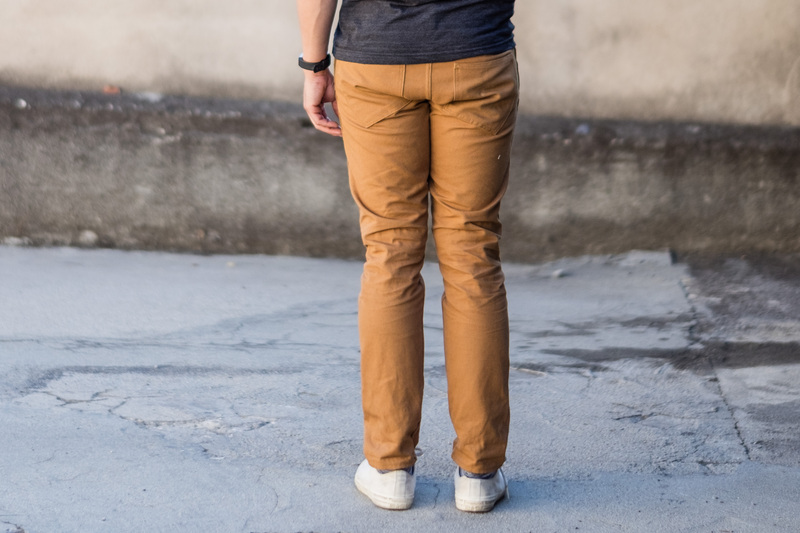 I still it difficult to pair the strong tan color pants with footwear and jackets. 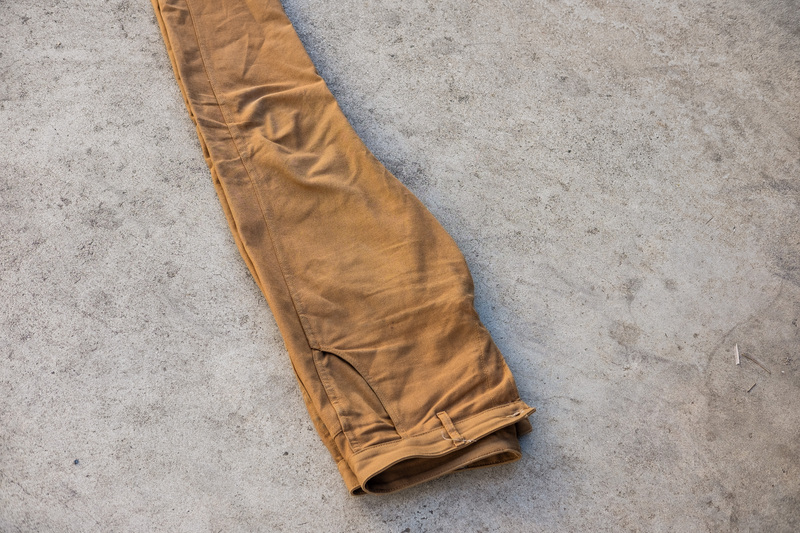 Although my current style caters towards Americana, I initially felt tan duck canvas pants was too “workwearish” for me. However, I saw that many people on Instagram with similar styles to me (@doppki, @marvaments, @vinyl66) all had at least one pair of canvas pants rotated between their denim rotations. I had a few brands in mind already. The requrements for me was that it is manufactured in a first world country and has a modern slim fit. 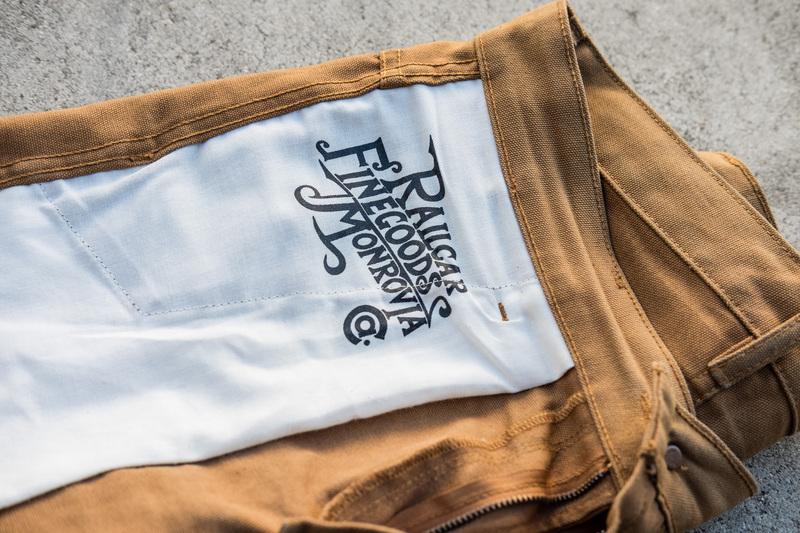 These brands included Railcar Fine Goods, Epaulet NYC, Naked & Famous, and Unis NYC. The N&F pair I had already owned a few years prior and felt it was too similar to denim in its details (riveted pockets w/ a coin pouch, button-fly, low/mid rise). 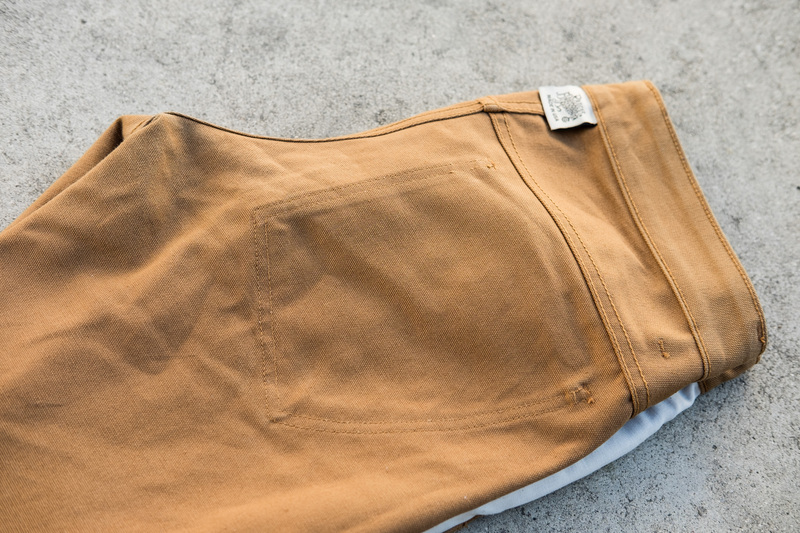 The pairs from Unis are not actually duck canvas fabric but a twill weave in a chino form. Between the last two, Epaulet and Railcar, the retail prices were about the same at ~$150, but the deciding factor was that Railcar offered free hems if you purchase directly from them. I was pretty certain of my size before trying on a couple sizes in store at Railcar Fine Goods. Taylor was very helpful and accomodating in determining my Flight Trousers size. She pulled out a pair of size 32 in Camel that she still needed to “clean up” (a few loose threads) and the pockets weren’t sewn on yet. I noticed towards the corner of the store that the Sand and Brown colorways of the Flight Trousers were on sale at 30% off ($99). 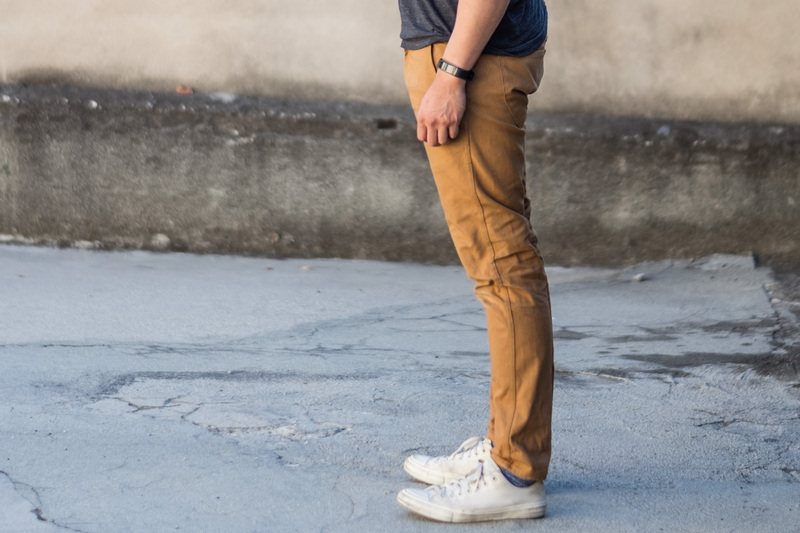 A few days before I visited Railcar, I was on edge between the Olive and Camel colors, but went with the classic Camel/Tan color. I browsed around in the store as she finished the pair. 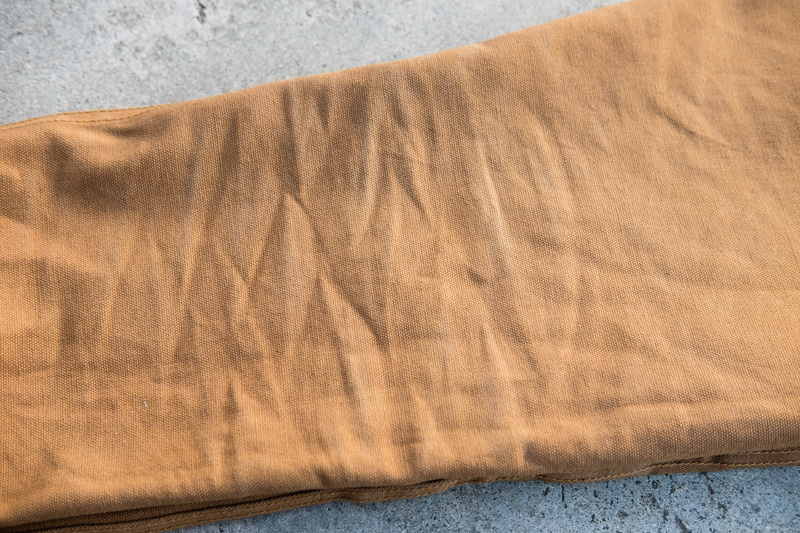 The camel color is most similar to a caramel tan, and starts off fairly bold in color. With Steven’s 2.5 year pair with multiple washes, the color lightens up significantly. I initially wore my trousers unhemmed so that the knees could stretch the inseam and I could figure out where I’d like to get it hemmed. The waist stretched about 0.5 to 1inch after wearing the pair a few times. Compared to the Japan Blue denim in 18oz that I was currently fading, the 12oz fabric is very breathable. These will probably be my go-to pair for spring/summer. The slanted front pockets are easy to access and I can fit my phone in there comfortably. The zippered fly and top button rivet’s construction feels solid and an enjoyable relief from button fly’s. The fabric is double stitched throughout. The colors that I found complimented them well were navy, black, white, and brown. I have so many navy/indigo tops/jackets so these pants help break up that Canadian tuxedo look. What I currently find that works well with these pants are white sneakers (Chuck Taylor 2s, Jack Purcells, Common Projects), brown rugged boots (Alden Indys, Viberg Waxed Flesh), and black boots (Viberg Waxed Flesh and Wolverine 1K Miles). Because of the “workwear” color, I don’t think they pair well with dressier boots or footwear such as Alden Longwings or shell cordovan makeups. The fit of the trousers is quite slim (but not skinny) on the top block. At the knees down, the trousers essentially end with a straight leg opening. The cuff opening was perhaps one inch in circumference too large for my liking. In addition, I wanted to wear the pants cuffed twice with a small ~1 inch cuff. 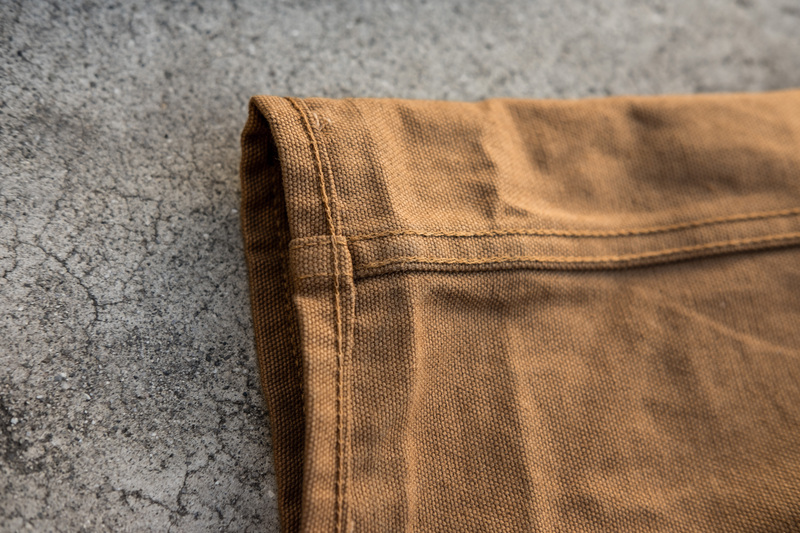 I brought them back to Railcar to get the pants tapered from the knees down. Taylor helped me figure out how much slimmer I wanted them while also noting that I haven’t washed them for the first time yet so additional shrinkage needs to be accounted for. The tapering service was 25% off the full price because I purchased them from Railcar and the hem free. I ended up paying about $42.50 for the tapering service. I was quoted 3 weeks for the service because Steven personally does all the tapering himself. I received a phone call about a week and a half later, and I went to go pick them up. When I tried them on, my left calf felt tight below the knee. The right side felt OK, but I do know that my left calf is about 0.25in larger than my right. Looking in the mirror, the fit actually looked pretty good. I guess I’m just not used to having the pants so slim in the calf region! I do have Uniqlo Slim Fit Flat Front Chinos that hug my calves gently, but they have like 2% stretch so it doesn’t feel as constricted! While I have yet to wash the Flight Trousers yet, the fabric has faded on its own a bit. I plan on cold washing them soon and line drying. As for stretching of the fabric, the thigh’s have marginally stretched, but I noticed the waistband opened up an additional inch. I’ve done a bunch of chores in these pants and the pair feels softer than it felt from day one. If you’re reading this and interested in a pair yourself, you most likely have to purchase it at the full price of $150. 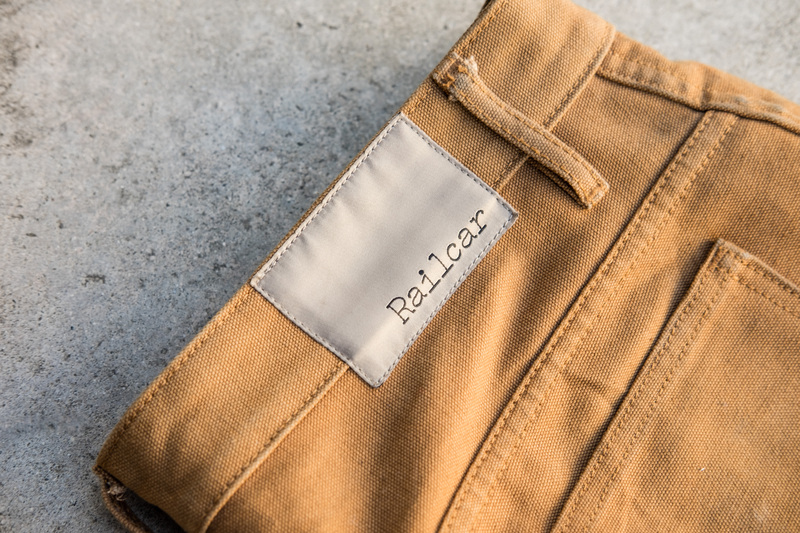 From my recent tour of the Railcar Workshop, the pants pretty much sell out as quickly as they are made. I highly recommend the tapering service also – it’s a pretty unique service offered by Railcar over other denim brand services. I used to own a pair of Epaulet Rivet Chinos in Olive Ripstop. The fit is nearly the same (modern slim), both have zipper flys and slash pockets, however the Epaulet Rivets have a white cotton herringbone taping at the outseam (Epaulet’s signature detail) that is visible when cuffed.